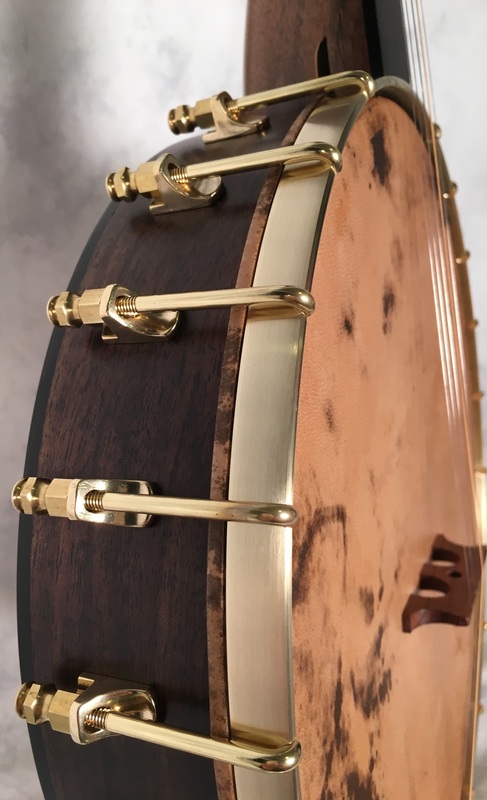 This is a 12" 20L banjo with a walnut rim and a Dobson tone ring. It has a left handed walnut neck, clown style peghead and an ebony overlay. The fingerboard and rim cap are ebony as well. This banjo is headed to Johanneshov, Sweden.